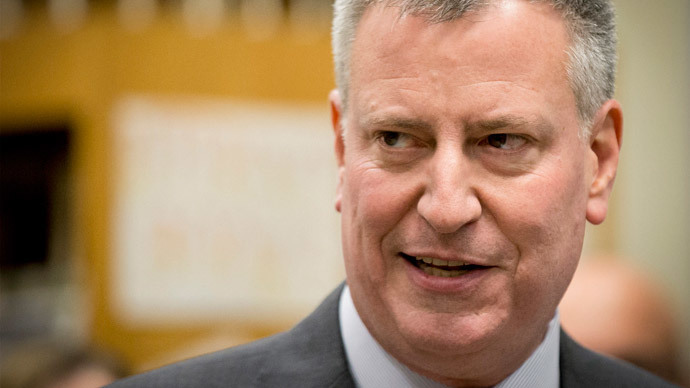 Despite massive public outcry against police brutality in the US, New York City Mayor Bill de Blasio has promised a police union that he will veto a draft bill that would make it illegal for NYPD officers to administer a chokehold during an arrest. De Blasio's comments come amid a fallout between the mayor and New York City police unions over the recent killings of NYPD officers, as well as backlash over the protest movements that grew out of the death of Eric Garner, who died in Staten Island after an NYPD officer placed him in a chokehold. In a major move to smooth over his relationship with the NYPD, De Blasio said that “exceptional” instances of chokehold use is justified. De Blasio believes the current internal ban on the tactic is sufficient enough, therefore it is not necessary to make chokeholds illegal. 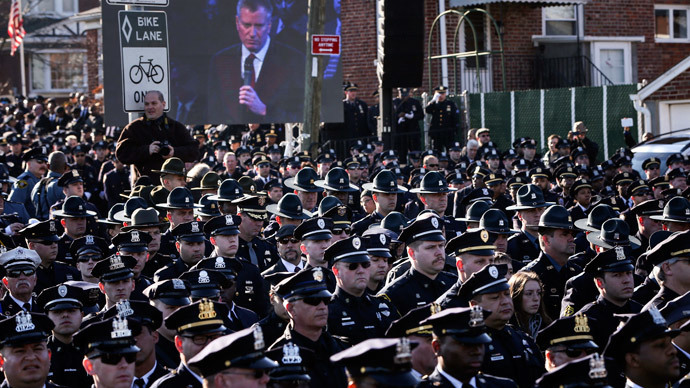 "One officer and one perpetrator in a death struggle – in that instance the officer has the right to use any and all tools he can to save his life," de Blasio said during news conference. 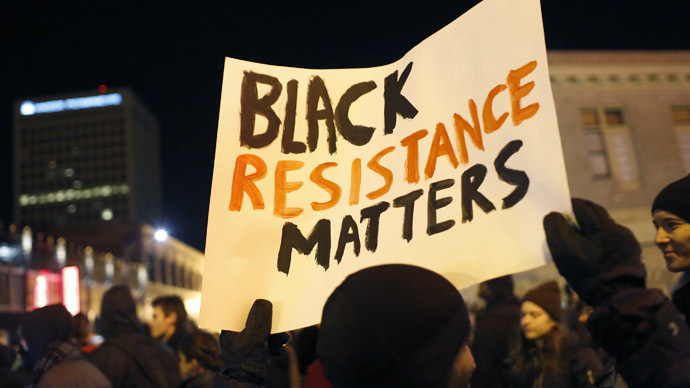 "I'm not going to agree to a situation where an officer is in that life-and-death struggle, thank God survives, and then faces criminal charges. That's unacceptable." 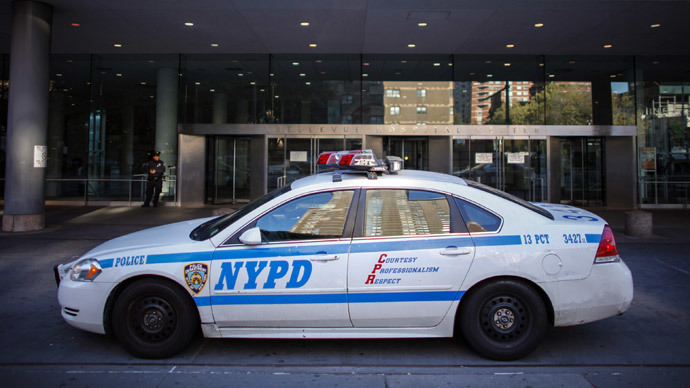 “The mayor would veto the chokehold bill as it is currently drafted were it to reach his desk,” his spokesman Phil Walzak told the Daily News, stressing that officers are already not allowed to use the banned tactic. 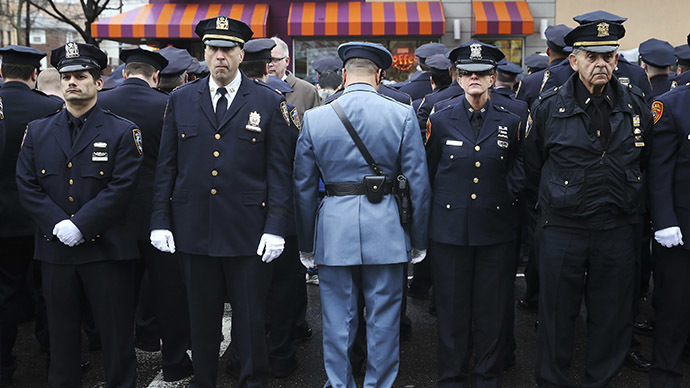 But Rory Lancman, co-author of the draft bill, defended the legislature, saying that Garner’s death shows that chokeholds are still widely used by NYPD officers – despite the internal regulation banning them. "In many circumstances it's not a maneuver of last resort," Lancman said. "It's the first technique that they applied." "I hope that we can have a dialogue with the mayor and other stakeholders so that by the time the bill reaches his desk, it will be something we can both support," Lancman told the Daily News. 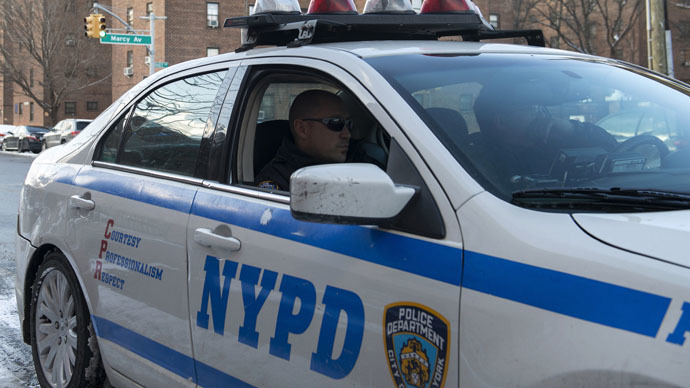 If adopted by the City Council and ratified by De Blasio, the draft bill would make chokeholds by the NYPD punishable by up to a year in prison or a fine of $2,500. In case of the mayor's veto, lawmakers can override it with a two-thirds majority vote.